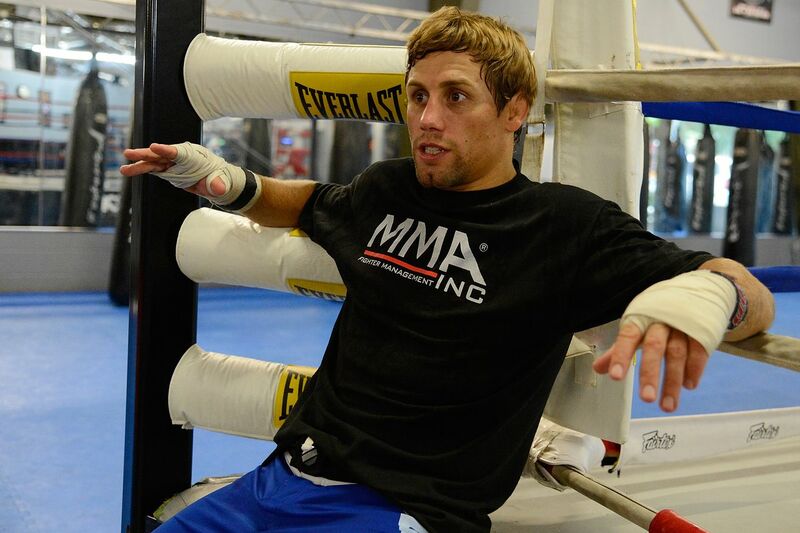 Even in the midst of gearing up for a trilogy fight opposite current Ultimate Fighting Championship (UFC) Bantamweight king Dominick Cruz this Saturday (June 4, 2016) at UFC 199, perennial title contender Urijah Faber can’t seem to dodge the Conor McGregor boxing talks. While Faber has a point, it was reported that McGregor could clear $50 million in a potential boxing fight with Mayweather. That’s serious cash for the kind of superfight that Faber himself is looking for. UFC 199 will be headlined by a Middleweight title fight between current champion Luke Rockhold and divisional mainstay Michael Bisping.